2 Add the rice and water to the cooker: Add the rice to the pressure cooker, along with the 2 cups of water and salt. Swivel the inner pot in the housing a little bit so that the rice settles into an even layer in the pot. Secure the lid with the release valve in its “Sealing” position. 3 Cook the rice on low pressure: If using white rice, select the “Rice” cooking program on its low pressure setting. (If your pressure cooker doesn’t have high and low pressure settings, just use the default “rice” setting.) The pressure cooker will adjust the cooking time automatically. For manual instructions, set the cooking time for 15 minutes on low pressure. If using brown rice, select the “Multigrain,” “Pressure Cook,” or “Manual” setting and set the cooking time for 20 minutes at high pressure for chewy, separate grains of rice. For slightly softer rice, increase the cooking time to 22 minutes. 4 Let the pressure naturally release for 10 minutes: When the cooking program ends, let the pressure release naturally for 10 minutes, then move the pressure release valve to its “Venting” position to release the remaining steam. Hello! All photos and content are copyright protected. Please do not use our photos without prior written permission. If you wish to republish this recipe, please rewrite the recipe in your own unique words and link back to How to Make Rice in the Pressure Cooker on Simply Recipes. Thank you! Turned out perfect. My first time making rice. I make Basmati Rice (white) multiple times a week and this has worked fantastically and is SO quick! Ratio is basically 1:1, although I add just a tad bit more water. I pressure cook it on high for 3 minutes and release the valve immediately when done… open the lid and fluff it with a fork… it’s amazing! 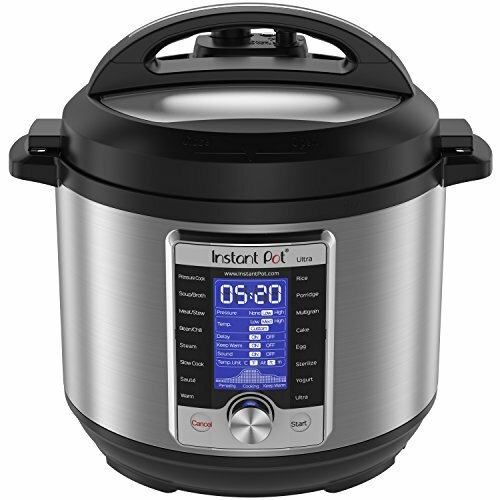 How much rice would I need to cook in an 8 qt instant put? I agree with Coco: nothing comes close to the quality of the rice made in a pressure cooker. I make rice at least once a week, always in my pressure cooker. However, I pressure steam it rather than cook it directly. This has many advantages: it lets me make small quantities; it avoids any burning of the rice (you cannot stir anything in a pressure cooker); and it produces a better result than traditional boiling (or pressure boiling), regardless of the type of rice. It is also a little faster than pressure boiling because, since so little water is used, the cooker comes up to pressure in only a minute or two. The cooking time, once up to pressure, is identical to pressure boiling. And, of course, any type of pressure-cooked rice gives you the end result in much less time than traditional cooking. To make pressure steam rice, find or make a trivet upon which you can place a cooking bowl. Put enough water in the cooker to cover the bottom while ensuring that the cooker won’t boil dry. Don’t let the water reach the trivet. The water in the cooker is there to create steam, but the rice is not put in that water, so the exact amount is not critical. Put half a cup of long grain rice (or other rice) in the cooking bowl. This is enough for the two of us, but I’ve made much more when we’ve had company. Then add about 3/4 – 7/8 cup of water (I use slightly less than the usual 2:1 water/rice ratio). Add a little salt, if you wish. Bring to pressure, and as soon as the cooker reaches 15 psi, start timing. I cook for six minutes. I then turn off the heat and let the rice continue to cook for another 4-6 minutes. If you let it stand longer than that, it will get a little stickier, but will still be wonderful. This lets you stall if you need to wait for some other part of the meal to finish cooking. I have not been rinsing the rice, but Coco is almost certainly right that this would produce a better result. I’ll have to remember to do that next time. Pressure steaming is a wonderful technique for all vegetables, especially potatoes. 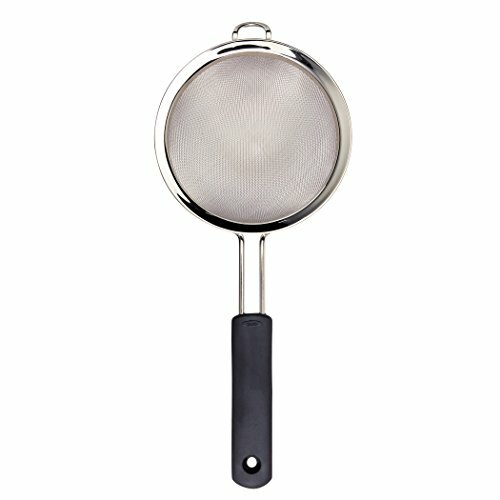 I long ago started using a similar technique for cooking potatoes for mashing. Unlike rice, where timing can be a little sloppy, you have to pay closer attention to timing when cooking potatoes, but the result, after mashing is far better than what you get with boiled potatoes. I adapted my pressure-steamed rice recipe from ideas I got in the “bible” of pressure cooking, Lorna Sass’ “Cooking Under Pressure.” I highly recommend that book. 15 mins cook time (same water-rice ratio and NR) works great for making short grain brown rice. Never mushy, no discolored overcooked layer on the bottom of the pot!